The Cartercar is probably the most well-known and best-built friction drive automobile. 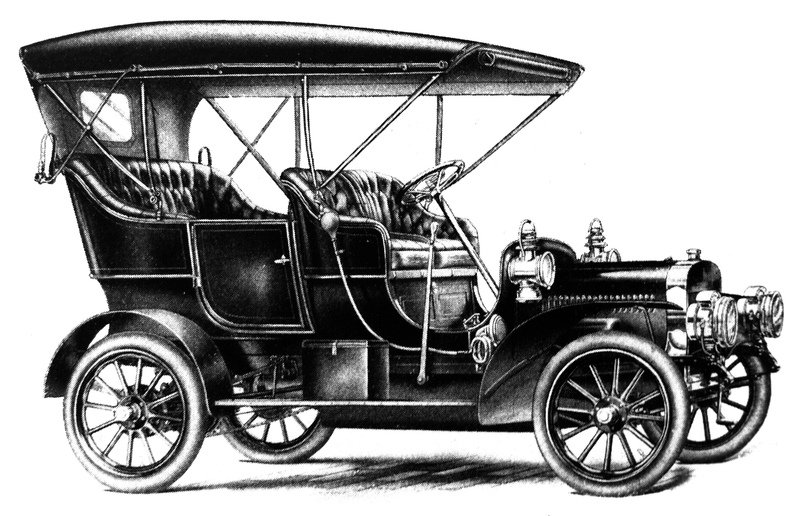 Named for Byron J. Carter, an early automobile pioneer, the Cartercar was produced in small quantities in Jackson, MI, between 1903 and 1905 by Byron Carter, by the Motorcar Company of Detroit from 1905 to 1908 and by the Motorcar Company renamed as the Cartercar Company from 1908 to 1915 in Pontiac, MI. The Cartercar Company was purchased by General Motors in 1909, which owned the Cartercar Company through the end of production in 1915. Byron J. Carter had many different businesses in Jackson MI before delving into automobiles. He bought one of the first automobiles built in Michigan in 1896 and had built his own vehicle by 1899. In 1902 he was a co-founder of the Jackson Automobile Company which built both gasoline and steam vehicles. In 1903 he first built his own friction drive automobile and filed for a patent for the friction drive transmission which was granted in 1904. The Motorcar Company was founded in 1905 with other investors to expand this business and build friction drive Cartercars. Byron Carter died in 1908 and his death has been noted as the motivation for creating the first successful automotive electric starter found in the 1912 Cadillac . The most novel feature of the Cartercar was the "gearless transmission" which had "no gears to strip," "no clutch to slip," "unlimited speeds," "climbs a 50% grade," "no jerks or jars," and more! Different gear ratios (including reverse) are obtained by using a lever to move the friction wheel driving the rear axle to different spots on the friction disk which is driven by the motor. There were many exhibitions of Cartercars climbing steep grades and city steps to demonstrate the performance of the friction drive transmission. Some, such as NASA, consider the Cartercar friction drive transmission to be a forerunner of the Continuously Variable Transmission (CVT).